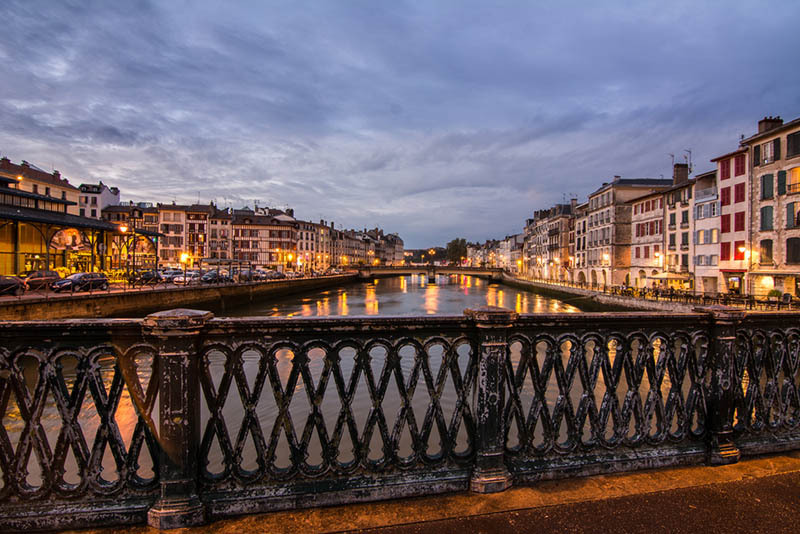 Home to the glamourous coastal town of Biarritz, Anglet, the surf capital, the charming villages of Ainhoa and Saint Jean de Luz, the rolling foothills of the Pyrenees, and a proud culture and language, the Pays Basque is one of France’s must-see regions. 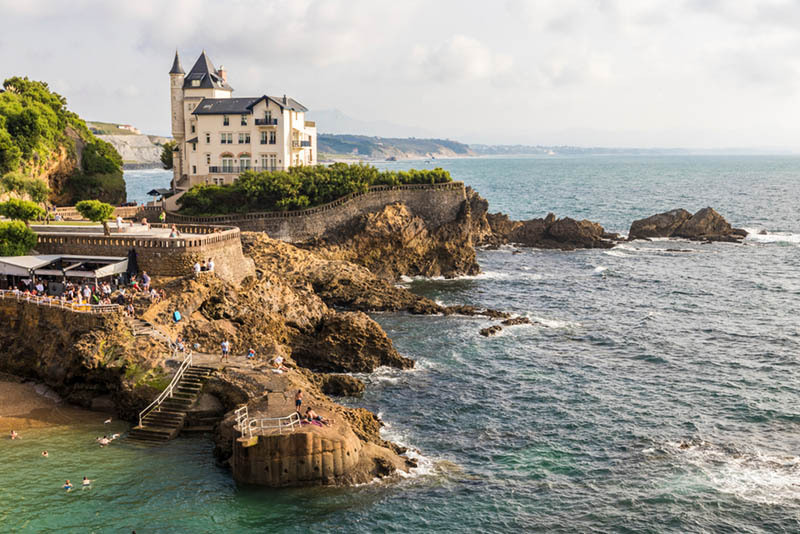 Situated in the southern tip of the country, right before you cross the border into Spain on the northern Atlantic coast, the French Basque region is easily accessible by train (it’s around two hours from Bordeaux via TGV), by flight via Biarritz Airport, or by car. While most people think of Spain when speaking of Basque Country—for instance, Bilbao and the famous Guggenheim or San Sebastian’s celebrated gastronomy—Basque Country is made up of seven provinces, three of which are in southwestern France. It has its own language, culinary traditions, and distinct geographic and cultural landscapes. The following is a sample of what you can do with 72 hours in French Basque Country. Biarritz is known for 5-star hotels like the Hotel du Palais (the former residence of Napoleon III), casinos, spas, golf (with the second oldest course in Europe), designer shops, laidback atmosphere, and, of course, its surfing beaches. It was the first area in Europe to introduce surfing. Visitors will also notice varied architecture with Spanish influences and castles, local shops and terraced restaurants that surround the covered market, which is not to be missed as this is where you can try traditional pintxos. For families, visit the Biarritz Aquarium featuring more than 5,000 fish and aquatic species. From the coastline, you can see the Villa Belza or Black Castle, the former aristocratic house, and its neighbouring town of Anglet. Anglet is small town, situated between Biarritz and Bayonne. The coastline is dominated by these three towns, which are each distinct in landscape and character. Anglet is pure surf; it’s designated as the capital of surf. It holds an International Surf Festival and even created a “surf avenue” with footprints of famous surfers. For non-surfers, visitors will enjoy the various golf courses—the region has 16 courses—or a spa experience such as the thalasso therapy at Hotel Atlanthal. Reminiscent of Amsterdam, Bayonne is a picturesque town with colourful timber houses and wooden beams. It holds one of the country’s largest summer festivals, the Fetes de Bayonne. It also offers the Museum of Basque, which has artifacts which highlight the rich history and culture of the Basque people. It’s easy to stroll this city, visit its shops, and enjoy its laidback atmosphere. And don’t forget to try the chocolate! 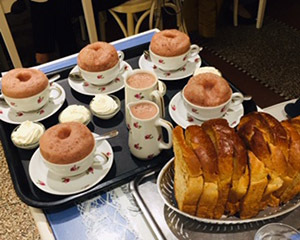 Try a hot chocolate tasting at Cazenave. Next, head inland to Saint Jean de Luz and the charming village of Ainhoa. Only 24km from Biarritz, Saint Jean de Luz is an old fishing village. 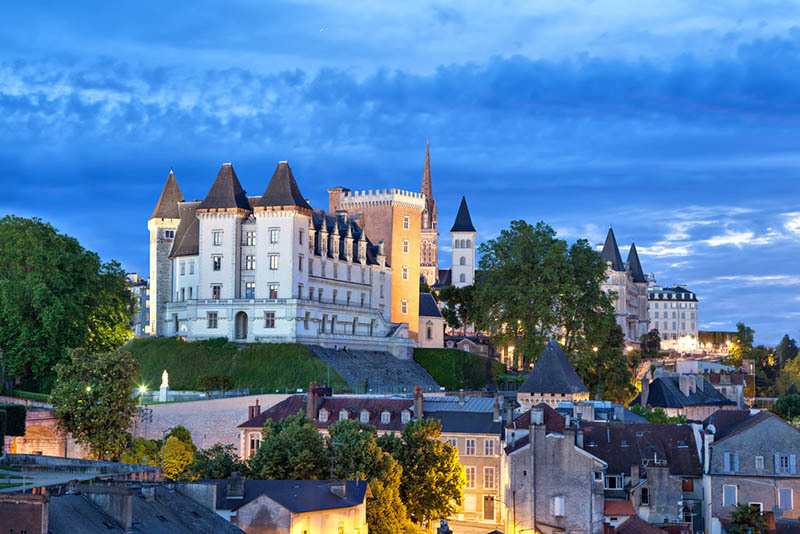 Known as the Royal City for Louis XIV and one of the richest areas in France. Today, the town is still an active fishing port and worth stopping by. It is quieter then the coastal cities, but charming nonetheless and easy to walk around. Ainhoa has been designated as one of the most beautiful villages in France. With only 700 inhabitants, its distinctive features are its houses, which are perfect examples of local architecture styles with exposed stones and bright red Basque shutters. For food and wine, the region doesn’t disappoint. There’s Bayonne ham, sheep’s cheese, usually eaten with jam or jelly, fresh seafood like tuna, calamari, and, dorado, and, of course, the region’s key spices known as piment d’Espelette, a chilli that can be seen hung on the front facades of farmers’ houses. There’s also Bayonne chocolate and Basque cake. While Pau is not Basque Country, it is a city that can be easily combined with the towns of Pays Basque. As the gateway to the Pyrenees, it is only a 90-minute drive from Biarritz and neighbours the National Pyrenees Park along the border with Spain. The city has a lot of British influences such as cricket, horse-racing, fox-hunting, and golf (it has the oldest golf course in Europe). The city itself has a feeling of grandeur with its promenade lined with palm trees and picturesque Pyrenees Mountains in the near distance. The area is also known for active hiking, rafting, wine such as Jurancon`s sweet white wine, and cheese, in particular sheep and foie gras. Goway recommends these packages to start your discovery of the distinct Basque Country: A Taste of Bordeaux, Eat & Drink Bilbao, and Highlights of Bilbao.